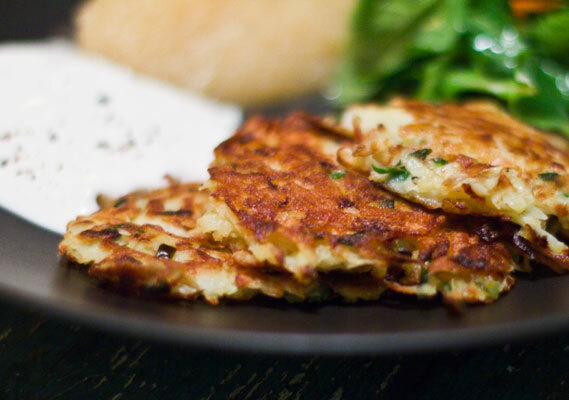 I’ve tested out many potato pancake recipes, and this one is by far my favorite. The recipe has been adapted to be gluten free from The Kitchen Buzzz- find the recipe here! I substituted brown rice flour for the wheat flour and served them with a dollop of sour cream, organic apple sauce and arugula salad. Thanks, Lauren. Your gluten-free version looks delish!